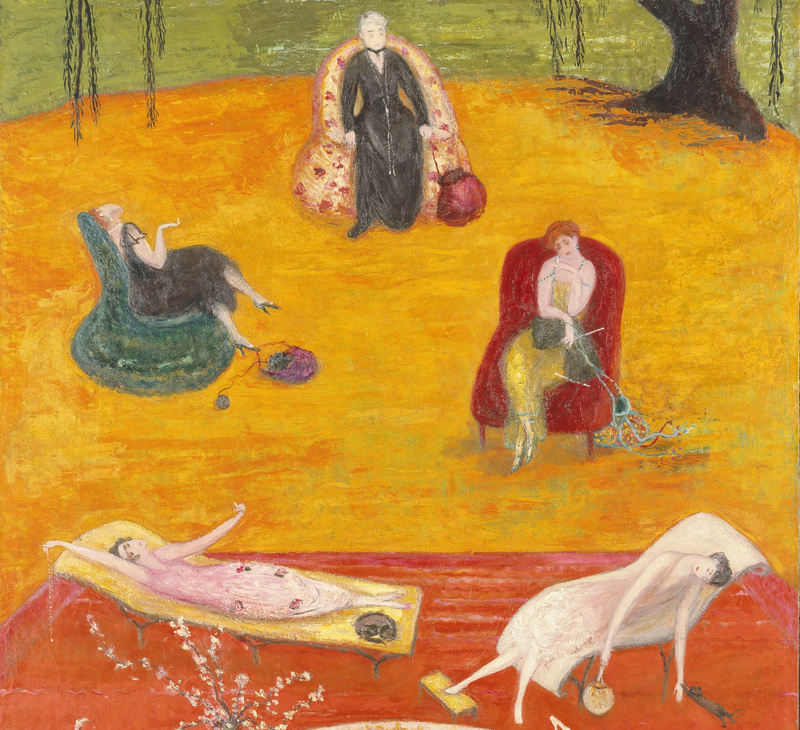 “Hot enough for ya?” Detail from Florine Stettheimer’s Heat, 1919. Growing up around wisecracking old relatives, you learn early how to craft a comeback. It doesn’t need to be that witty. It doesn’t even need to make sense. It just needs to be kind of sassy and really fast, to show you’re wise to the game or something. “Just who do you think you are?” an elderly uncle might demand, inexplicably. Or, “I bet you think you deserve some candy!” In such situations, you can show no fear. When you’re a small child, this kind of obligatory badinage is awful. But it’s a skill—if you can call it a skill—that stands you in good stead as an adult. However, even those of us trained to keep our cool in the face of faux-belligerent idiocy are occasionally stumped. Despite my years of experience and calibration, there are, specifically, three situations that leave me mute and baffled. Situation B: “Hot enough for ya?” You’d think this one could be fielded with ease, considering it’s one of the oldest clichés in the English-speaking world. Yet I’m always so baffled that someone is actually saying this in real life—it’s the verbal equivalent of being struck by a falling ACME-brand anvil. It leaves me speechless. “Yes,” I sometimes say. Situation C: “Have a safe trip.” As in all these cases, this is not a statement that actually requires a rejoinder. It’s meant as a friendly platitude. And yet it sends me into a frenzy of furious overthinking: Well, I would if I had any control over it, I think. Or, Thanks, actually I was planning to get in a crash and die, but now I won’t, or, No. As usual, I stand in front of my interlocutor with my mouth agape while he or she becomes increasingly uncomfortable. For once, I felt entirely off the hook.